R.C. 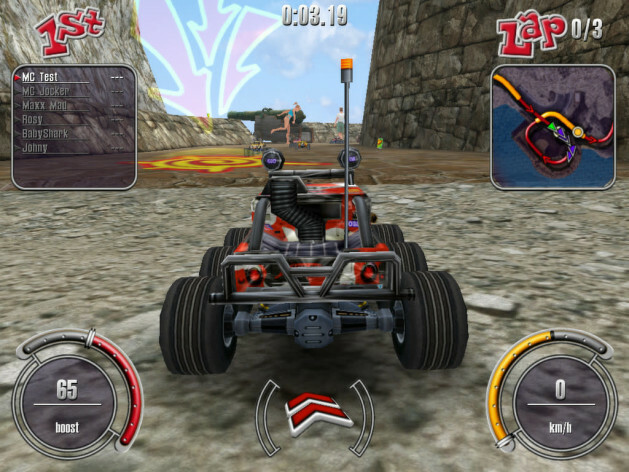 Cars brings the racing style to another perspective; controlling toy cars by radio frequency, you face traditional racing / arcade modes. 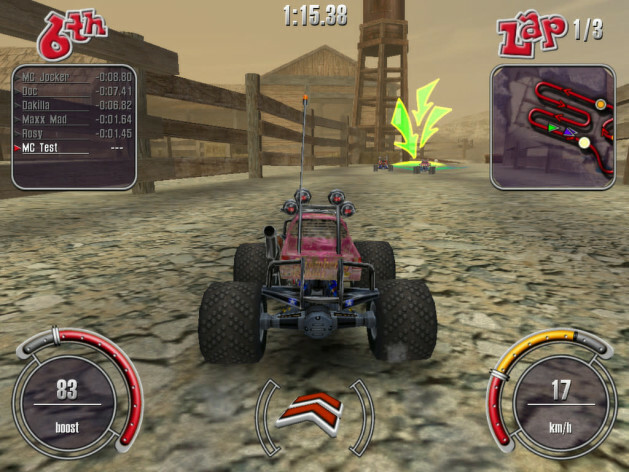 Jump, accelerate, perform acrobatic feats in the air, jump over great mountains, pits and obstacles while fighting for victory! 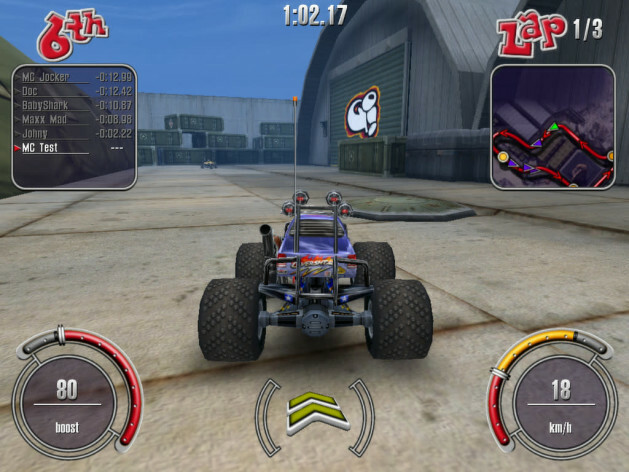 Win a prize to bet on the race, buy upgrades of cars and participate in new disputes! 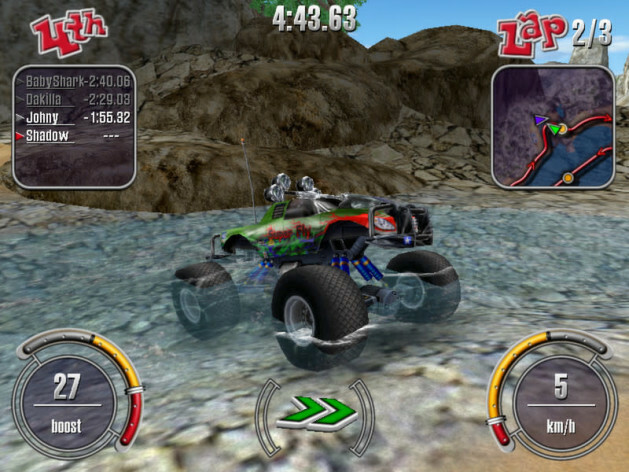 Featuring the magnificent physics engine, three types of unique racing vehicles and ten off-road levels closely reproducing the real world, R.C. 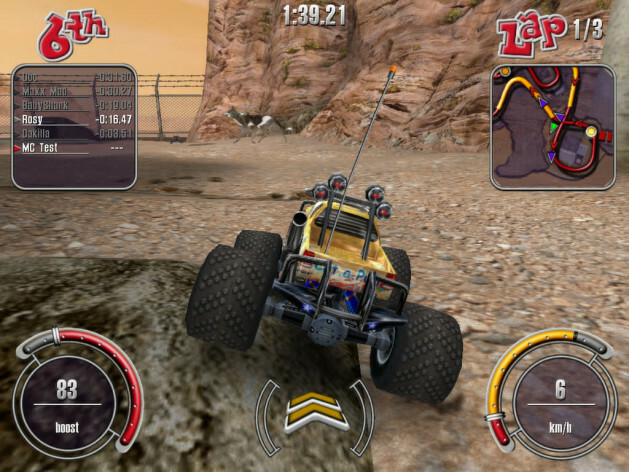 Cars is a real challenge! In the world of R.C. 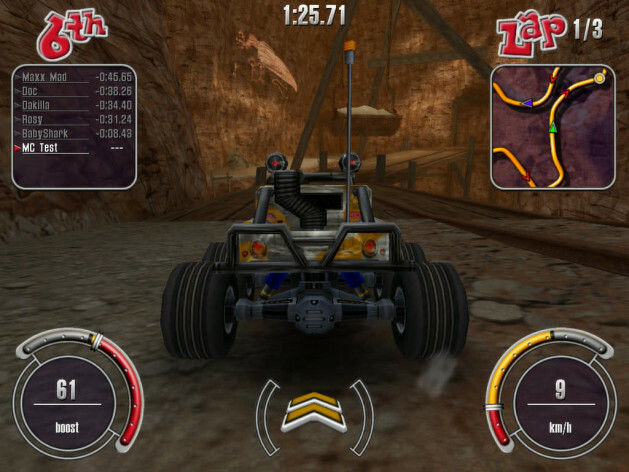 Cars participate in the championship, fast race or ghost race. 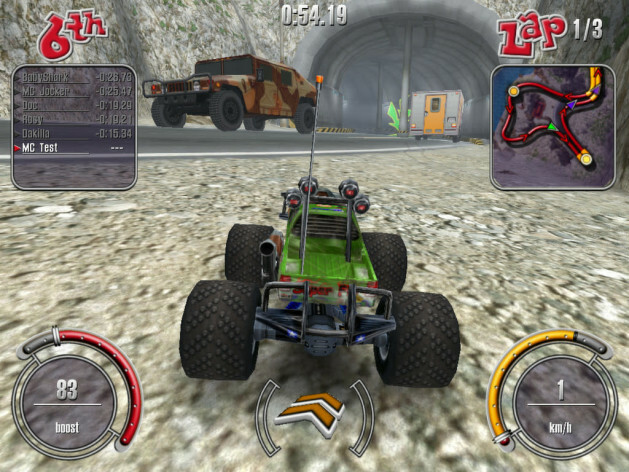 From looping lanes in different environments to real-life obstacles and excellent off-road skills, maneuverability and augmenting ability of realistic-looking vehicles, R.C. Cars is a truly incredible driving experience! © 2002 1C Company. Developed by Creat Studio. All rights reserved. Music by © 2002 Master and © 2002 Deadushki. All rights reserved. Other products and company names herein are trademarks of their respective owners.